By culling from the past with heritage styling and looking to the future with daring tech innovations, outdoor brands are creating footwear that is completely of the moment. 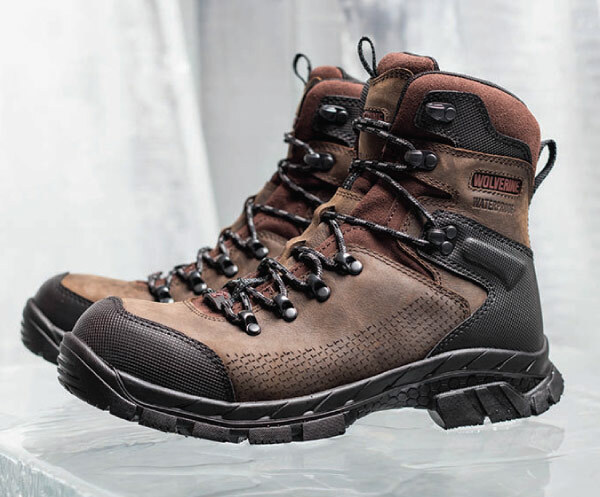 Whether designed for serious trekking, a walk in the park or a winter work commute, companies like Source by Naot, Danner, Rockport, Wolverine and Gore-Tex are delivering products and components that embed cutting-edge technology into stylish, time-tested silhouettes. Perhaps nothing is more au courant than a commitment to high manufacturing standards, and brands are delivering in spades via handmade construction, made in the U.S.A. cred and premium materials. Lightweight fabrications and innovative insulation solutions help brands effortlessly transition their designs from wilderness paths to city streets, embracing consumer’s desire for wearable technology in a stylish package. As rugged outdoor styling—think traditional hiking boots, raw denim and well-worn flannel—continues to look equally at home on the streets of New York as on the mountain trails of the Pacific Northwest, Danner Footwear is poised to deliver on-trend, premium boots for men and women for Fall ’18. Celebrating an 85-year history of U.S. manufacturing, the brand is presenting its Portland Select Collection, which draws from its heritage and offers a modern take on classic Americana. Danner aims to deliver that crossover appeal by combining timeless outdoor, work and military looks with performance features that make boots light enough for everyday use. New products include the Danner Ridge, which is 20 percent lighter than its Danner Light boot, from which it evolved. The Danner Ridge comes in sleek dark brown leather with green canvas siding and tan leather with gray canvas. Both the Danner Light and Danner Ridge integrate stitchdown construction, Vibram Kletterlift outsoles and breathable Gore-Tex waterproof liners. Also new for Fall ’18 is a re-release of Danner’s Feather Light Revival. Introduced in the early ’80s as one of the first fully waterproof Gore-TEex light hiking boots, the style was taken out of the line in the U.S. less than 10 years later. However, it stayed strong in Japan and gained a cult following in Tokyo as a fashionable hiker. “The new version is very true to the original, but it incorporates more premium leather and abrasion-resistant textiles, along with improved midsole materials and a rugged Vibram outsole,” Pennartz says. 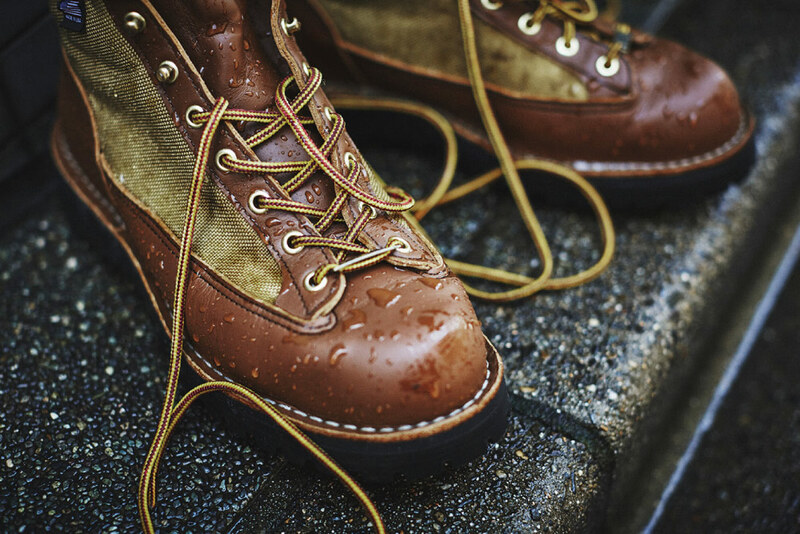 In a nod to the brand’s commitment to quality, if the sole wears down or the shoe needs repair, it can be re-crafted by Danner’s team in Portland. Taking it slow may just be the best advice for growing a healthy relationship. At least the old-adage holds true for two beloved Israeli brands, Naot and Source, which have recently turned a 25-year flirtation into a robust partnership. Stemming from a shared passion for technological innovation and handmade craftsmanship, the new Source by Naot platform promises to deliver high-tech outdoor shoes to the U.S. market. The partnership is entering its first season for Spring ’18 with amphibious sandals designed by Source and distributed by Naot, to be followed by co-designed winter collection that draws from the strengths of each brand. Rockport, the brand that created the walking category in the ’80s, is now inspiring a new generation to get walking. While its latest franchise, dubbed “Let’s Walk,” is brimming with technological innovations, these revamped walking shoes bear little outward resemblance to the classic brown lace-ups that solidified Rockport as a leader in the comfort realm decades ago, not to mention the poster child for dad style. Let’s Walk, a modernization of Rockport’s acclaimed Pro Walker line, was created to “shake up the market,” according to John Daher, senior vice president of product development at The Rockport Group. “They are really well designed inside and out, with a look that works across many wearing occasions,” he says. The commitment to technical innovation is nothing new for Rockport. The company was founded more than 40 years ago with a vision of using sports technology to create ultimate comfort in dress and casual shoes. Daher notes that when The Rockport Group became a stand-alone company again two years ago, the team wanted to “harken back to the days of our innovation,” and Daher has created a business unit exclusively devoted to innovation that works outside of the normal product calendar. “We are tasked with developing programs like ‘Let’s Walk’ in order to make an impact in the comfort shoe industry,” he says. As winter winds pick up and temperatures plummet, there arises an age-old dilemma most women can understand: whether to wear bulky boots that weigh down the feet and are sweltering indoors, or stylish shoes that leave toes freezing during the morning commute. 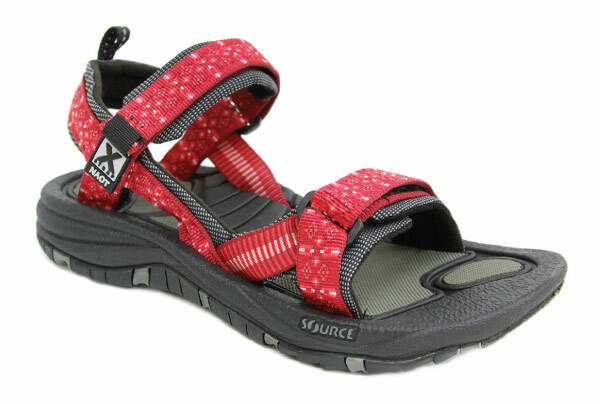 Gore-Tex has sought to end this conundrum and make its mark in the women’s casual shoe market. For Fall ’18, the company is introducing a new class of ultra-thin footwear insulation dubbed Thermium as part of its recently unveiled Gore-Tex Infinium program. An innovative insulation that is seven times more efficient than a comparable amount of loft insulation and as thin as typical footwear leather, Thermium has a unique ability to provide superior warmth in slim silhouettes. “We were trying to find a solution where insulation isn’t big and bulky and can be fit into the wardrobe you have,” Rosenberg says. 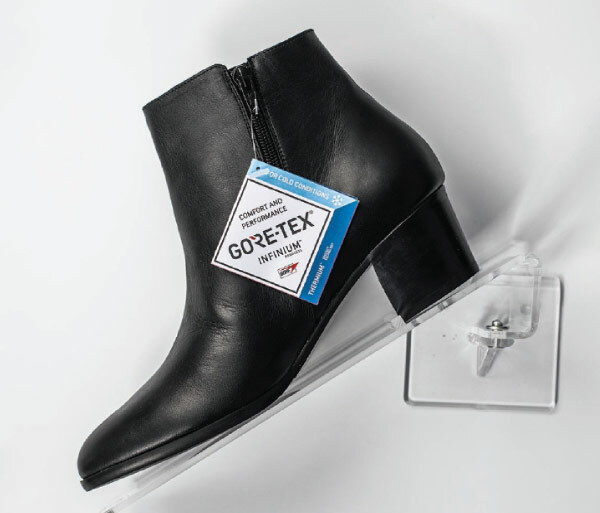 To create Thermium, Gore-Tex leveraged its deep knowledge about how to use expanded polytetrafluoroethylene (ePTFE), and combined the polymer with Aerogel technology. Developed by NASA for uses like helping shuttles re-enter the atmosphere, Aerogel is an incredible insulator, but without the added element of ePTFE it is brittle and difficult to manipulate. The result is an even, pliable and compression-resistant insulator that can be cut and treated like leather and applied to shoes in a way that doesn’t compromise style. Through advanced thermal-mapping, Gore-Tex confirmed that toes are the first area to feel cold, and realized that by concentrating insulation in the toe box, it is possible to warm the entire foot without sacrificing a shoe’s silhouette. While Gore-Tex first began looking into this technology more than a decade ago, it was only within the last three years that the company delivered on the concept with Thermium. In addition to extensive testing in its advanced climate chamber at its Maryland-based biophysics lab, the company conducted on the ground trials in the Midwest and Europe. “There’s nothing like getting the response from women on a cold day who say, ‘This absolutely made a difference in my life,’” Rosenberg says. For Fall ’18, Wolverine continues its 130-year tradition of crafting intrepid outdoor boots for people who work hard, play hard and, through it all, brave the elements. Now, with the integration of new cutting-edge technology into the mix, consumers won’t just brave the elements, but may even welcome cold, wet days, according to Yahn Lebo, product line director. That includes the incorporation of PrimaLoft Aerogel insulation in the Glacier Xtreme and Crossbuck Xtreme hikers. Aerogel technology offers heightened levels of warmth and breathability by using millions of air pockets to form a thermal blockade that provides comfort in both extreme cold and heat. “PrimaLoft Aerogel is almost weightless and is the best insulator on the market right now because it is non-compressible,” Lebo says, noting that traditional insulations, when compressed, minimize the warming capabilities, particularly around the toes. “Even in the face of pressure from active use, the Aerogel insulation maintains 96 percent of its original thermal performance over time.” Lebo adds that both styles boast 360-degree insulation around the entire foot, as well as under the footbed for extra cold protection.